THURSDAY, Feb. 28, 2019 (HealthDay News) -- Your grandparents' chronic aches and pains might best be eased with a little weed, a new study suggests. Not only did folks over 75 who took medical marijuana report less pain, their use of pot-based capsules, tinctures and e-cigarettes allowed a third of these patients to reduce their use of opioid painkillers, researchers found. 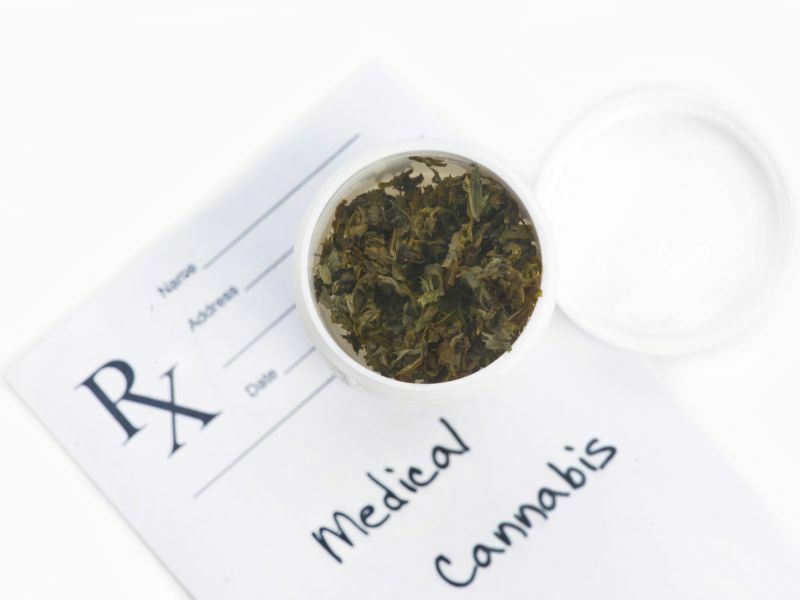 "Medical marijuana, in my opinion, is an excellent choice for patients with chronic disease, including chronic pain," said senior researcher Dr. Laszlo Mechtler, medical director of the Dent Neurologic Institute in Amherst, N.Y. The study tracked 204 elderly patients who had been prescribed medical marijuana to deal with pain through New York state's medical marijuana program, Mechtler said. All were given products containing various ratios of tetrahydrocannabinol (THC) and cannabidiol (CBD), most often tinctures that were applied with an eyedropper under the tongue, Mechtler said. THC is the chemical in marijuana that causes intoxication, while CBD has been associated with a number of potentially positive medical benefits. About 7 out of 10 patients experienced some symptom relief, researchers found. Half said their chronic pain diminished, 18 percent said they slept better, nerve pain improved in 15 percent, and anxiety was quelled in 10 percent. "A majority of patients came back and said, 'I'm better,'" Mechtler said. "The efficacy rates were quite high. Most patients felt their quality of life had improved." Three-fourths of the people treated had been diagnosed with chronic pain, Mechtler said. Other conditions included cancer (6 percent), neuropathy (5 percent), multiple sclerosis (5 percent), epilepsy (3 percent) and Parkinson's disease (2 percent). There were some downsides. Initially, 34 percent of patients experienced side effects from medical marijuana, most commonly sleepiness (13 percent), balance problems (7 percent) and gastrointestinal issues (7 percent). After adjustments in dose, only 21 percent continued to have side effects. Ultimately, 3 percent of participants stopped taking medical marijuana due to side effects. A 1-to-1 ratio of THC to CBD proved most effective while limiting side effects, Mechtler said. The findings were to be presented at the American Academy of Neurology annual meeting, being held May 4-10 in Philadelphia. Such research is considered preliminary until published in a peer-reviewed journal. Mechtler was particularly encouraged by the reduction of reliance on opioid painkillers in these patients. "In the midst of an opioid epidemic in this country, with 115 people dying every day, anything that can decrease the potential for opiate use is a win/win situation," Mechtler said. "Nobody overdoses on medical marijuana. "I have not seen an abuse of medical marijuana, especially in this age group. Our grandparents are not abusing medical marijuana," he continued. "They want improved quality of life. They want to come off the opioids, which have a long list of side effects." The results jibe with other studies on medical pot, said Dr. Diana Martins-Welch, an attending physician in palliative medicine at Northwell Health in Long Island, N.Y.
"This study really hit home with a lot of what I was seeing in the other survey data that's been put out there regarding cannabis and chronic pain," she said. Martins-Welch tends to prescribe very low doses of THC in her preparations, but added that it was "not surprising at all to me that the 1-to-1 ratio tended to cause the least amount of side effects. That's the ratio I tend to stick with when possible." Better studies need to be performed regarding medical marijuana, particularly randomized controlled trials, Martins-Welch said. "Honestly, it's going to have to be federally legal before we can do the robust studies that are required of medicine in general," she said. Currently, medical marijuana is legal in about two-thirds of states. In the meantime, better-off seniors will be the only ones likely to benefit from medical marijuana, Mechtler said. Prescriptions cost anywhere from $125 to $500 a month, out of pocket, he said. "People with chronic disease just can't afford that," Mechtler said. "Thirty-five percent of my patients can't afford it at all, period, and 70 percent complain of the significant cost and how it affects their quality of life financially."